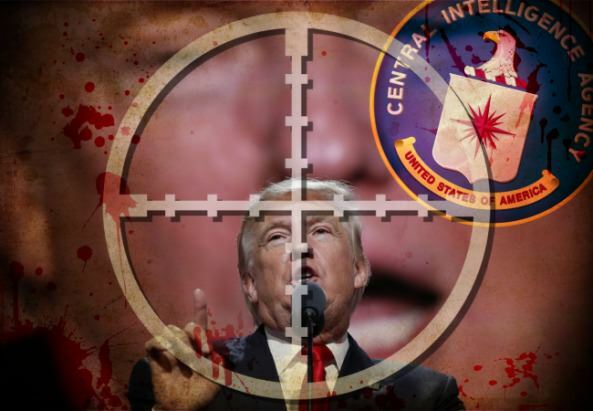 President Trump’s war against the Washington elite has prompted assassination fears like no other President in modern U.S. history. Paul Joseph Watson of Infowars was the first to report on Philip Mudd, ex-CIA agent and current CNN analyst, saying on air in reference to Trump that “the government’s gonna kill this guy.” CNN’s Jake Tapper gave Mudd a chance to clear up his statement, to which the CNN contributor then claimed he didn’t mean the ‘Deep State’ was actually going to kill President Trump. “He defends Vladimir Putin, there are State Department and CIA officers coming home and at Langley and in Foggy Bottom CIA are saying, this is how you defend us?’” Mudd added. Recently, Evangelical pastor Rodney Howard-Browne claimed a senior Republican lawmaker told him there is a plot in place to “take out” President Trump. Was the GOP lawmaker hinting at a plan to assassinate President Trump? The liberal news media and Hollywood have virtue signaled the assassination of President Trump from the moment he took office. There is no better example of Hollywood hate towards the President than Kathy Griffin beheading a bloody Donald Trump. The Gateway Pundit reported this story the moment it broke. Who could forget CNN’s own Fareed Zakaria praising it!? The left is obsessed with the idea of President Trump being assassinated. Kathy Griffin recently did an ISIS-inspired photoshoot holding Trump’s severed head dripping blood. Rapper Snoop Dogg also did a rap video where he shot a President Trump lookalike in the head. The left is a violent, seditious political faction that must be stopped. It should come as no surprise that President Trump’s ‘Make America Great Again’ agenda has made him a target. Hollywood and the political elite hate him because he wants to put America first, while restoring the proud heritage of the West.